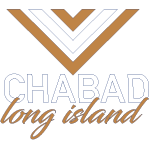 Chabad Lubavitch of Long Island has opened up opportunities for Jews to connect to Judaism in ways that were never thought of before, and literally changed the face of Judaism on Long Island. The vibrancy, relevance, and spirituality of the Chabad message has struck a very real chord with the needs of suburban Jewry. We rely on the support of the local community to help make a difference in the community and in the lives of children with special needs. Please click here for a full overview of our programs that your donations help make happen. We are a 501(c)(3) non-profit organization (tax ID #11-2532032) with all donations tax deductible to the extent allowed by law. Please consider giving generously.